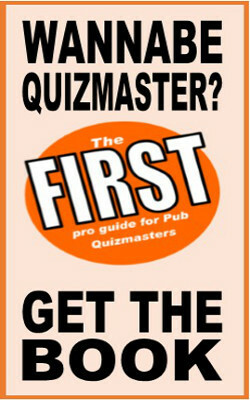 This DP Quiz special feature looks at pub quizzes who use a league table format running over several weeks to increase interest amongst quizgoers. The potential win for running a league is that your core, regular teams will be more motivated to turn up every week as they chase league glory. The potential drawback is that it could create extra work and lead to disputes. Are League Tables Good For Pub Quiz Business? Andrew Daniller is the quizmaster at Stetsons in Washington DC (USA) and runs a league table for his regular teams which runs through the summer. He was in no doubt of the value the league table brings to his quiz when I asked if the league was good for business: "Absolutely. We only run a league during the summer. The rest of the year, most of our regulars only come out two-three times a month, but during the summer, they show up just about every week and the bar is packed for every quiz night." Richard Riley runs the quiz at Shamrock's Irish Bar in Hamburg, Germany and says that running a league table is "invaluable" and that it " generates a healthy rivalry between teams where they actively look forward to the following week." Meanhwile down In Rome, American quizmaster Charles Collins serves up his 'Champions League' format to regulars at two Rome venues, with results from both bars contributing to the league table. Collins ran his quizzes for two years before introducing the league format and he noticed a difference straight away: " It paid off. I went from averaging 12 teams to averaging 16. I charge a 15 [Euro] entry fee, so it increased profits. I know for a fact that the good teams who came once a month or every other week began coming every week, so it increased participation from teams who often "place". At Kieran's Irish Pub in Minneapolis, USA, events co-ordinator Whitney Gale said "We have not always had a league – we introduced it to bring a new competitive aspect to the quiz, and also to help generate more consistent attendance from teams who participate in our monthly quizzes – so far, we’ve seen good results. Currently, we have 15 teams participating in the league. The last league we ran (October-March 2009) had 20 teams participate. Teams win 1 point for turning up, 1 point for finishing 4th, 2 points for finishing 3rd 3 points for finishing 2nd and 4 points for a win. Richard Riley's system in Hamburg is similar but with every team scoring. He explains: "It works on a simple concept : the more teams - the more points. If there's 8 teams then the team that wins gets 8 points, the last 1 point. If two teams come second then they get 7 each etc." The trick is to find a format that can remain exciting by avoiding teams 'running away' with it. Andrew Daniller's table suffers slightly from the heavy presence of regulars at the top end of the table and perhaps not much chance for other teams to catch up. Andrew says he would "definitely consider changing it up next year to balance out the standings a bit more," but also says that he has enough prizes to share around lower-finishing teams and that "the close competition for the top spot isn't really hurting everyone else too much." So what are people playing for? Stetson's offers their first prize winners a private party in the pub with a $500 open bar tab at the end of the summer. Charles Collins Rome Pub Quiz offers €500 for the winning team. Richard Riley says " Prizes are normally something offered by someone else in the city. e.g meal for four, or shed load of pints in a Hamburg nightclub etc." Charles Collins also does trophies and extra booze prizes for his top teams, as pictured above, which appear to go down well. Trophies like this can be picked up pretty cheaply and can create a real buzz for players. Perhaps an underrated factor for quiz teams is the sheer winning-ness. As Andrew says of his teams at Stetsons: "they love the bragging rights that come from finishing on top. It might not work as well with a more casual crowd, but it seems to make the quiz more fun for the crowd we get at Stetson's." Everyone interviewed runs their league tables in seasons that last either half a year or roughly three months. It would perhaps appear that one month is too short and a year is too long. The idea of the extra paperwork or hassle in keeping tabs on your pub quiz league table might seem daunting. While most of the quizmasters interviewed said they find it to be no hassle at all, Whitney Gale from Kieran's said "it's lots of extra work for me, sometimes I find it hard to keep up with all the other work I have to do (planning parties for two pubs is a big job!). I do use Excel to keep score during the quizzes, and to keep track of the quiz league standings." Andrew Daniller says Google Docs suits his needs, commenting that the service is "very easy to use, and I can access it from my phone at the bar if I need to make a correction." Richard Riley is more straightforward and says he uses nothing more complicated than the scoresheets from quiz night from which he enters the scores straight into his website. You can see his table here. So, is setting up a league table for your quiz worth the the bother? Charles Collins says yes, it probably is "if you have an established quiz at a venue that you want to take up to another notch. But if it is a new quiz, I would recommend building up a regular crowd. The league is to reward regular players, not to bring in the hounds." Charles also says "I also wouldn't recommend it for a venue that will not ever bring in more than 15 tables. The "sunk costs" can be large, and if you are not going to bring in many more tables, then it won't be worth it"
How does this article compare to your experience of pub quiz league tables? Leave a comment, below and share your knowledge with other quizmasters.